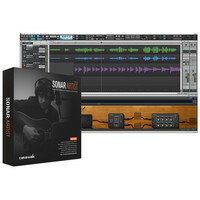 Cakewalk SONAR Artist is an ideal studio software solution for songwriters and musicians. 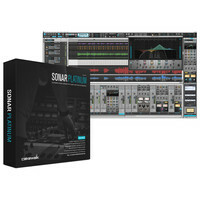 With dozens of editing tools including a new MIDI editing Pattern Tool a vast array of mixing and mastering effects and high quality virtual instruments including the popular Cakewalk Sound Center this complete DAW offers a wide range of possibilities for producing and recording professional-quality audio. 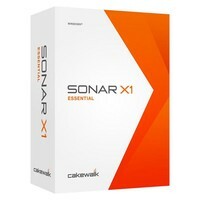 SONAR X1 Essential has a completely redesigned user interface that makes creating music faster and easier than ever. Create with cutting edge musical tools like the Step Sequencer and The Matrix. Customize your workspace with the Skylight interface. Get hands on control with Active Controller Technology (ACT). 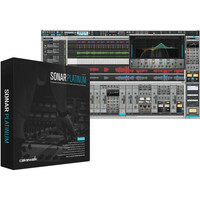 With a powerful collection of effects and instruments to get you started and more available tracks than DAWs costing twice the price SONAR Essential is the perfect way to get your feet wet and to begin crafting your own masterpiece. 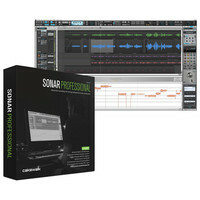 Cakewalk SONAR Professional is an ideal studio software solution for producers engineers and composers. With dozens of editing tools including Melodyne Essential pitch correction a vast array of mixing and mastering effects and high quality virtual instruments including the acclaimed Dimension LE synthesizer this complete DAW offers a wide range of possibilities for producing and recording professional-quality audio.